development and presentation of training and communication materials. 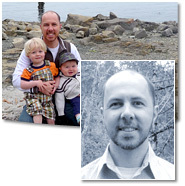 Jason is a registered professional biologist who began his career in the natural sciences studying forest ecology, and subsequently completed a post-graduate degree in Resource and Environmental Management (SFU 2005). He continues to pursue work in the natural sciences conducting habitat analyses for species at risk and developing quantitative models for assessing the cumulative impacts of developments associated with extraction of natural resources. Jason has strong communication skills, grounded in scientific writing and further developed through teaching university courses at the senior undergraduate level, developing and leading technical training sessions, and assisting with development and implementation of facilitated strategic planning workshops. Jason's role in Cortex projects typically involves collecting complex information from multiple sources, analyzing this information, and working with clients to develop custom solutions to a particular problem.